but giving them the opportunity to create themselves. There are few tragedies of the magnitude that struck Nepal in which most do not take at least a moment to pause, and sometimes shed a tear for lives lost, even if we do not know their names or anything about their country. We understand loss. On March 5, 2014, I received the first of what would become a host of communications from a young man, initially inquiring about guest posting. I remember visiting his blogging community Kegarchaslifema and enjoying his work. However, he was not quite ready for guest posting or collaborating, and when I informed him of such, he took it like a champ, refusing to back down. As it turned out, English was not his native language, and in fact, had failed the class. But he was determined, to not just learn it, but master the craft of writing. And the young man, a junior in high school then, would become my first mentee within The Neighborhood. When I first received the news, the death toll was already approaching 1000. Earthquakes show no mercy, and this one: a 7.8 monster, moved a mountain – Mount Everest to be exact – the highest in the world. Natural disasters make their way around the planet, with no vengeance intended, they would exist even if humankind disappeared. This time, it was the nation of Nepal, a country of 27 million people, located in the Himalayas, directly in the bulls-eye. On January 4th of this year, I received a message but of a different kind. The young mentee, who had grown as a writer, and apparently turned his English grade around, for he was applying to college, and asked if I would write an official letter of recommendation. I remember feeling very proud. Proud and honored that Shrestha Bibash of Katmandu Nepal considered me a part of his academic growth and process. Proud that this young man was moving into the next phase of his life. And proud of The Neighborhood, as among the many reasons, for making friends around the world, and with the next generation, no less. I received a Facebook Safety Check notification for the Nepal Earthquake in which, there were only two options. Safe and Mark Safe (Mark Safe next to our young friend) My hopes are that he and his family are together and safe. My thoughts and prayers go out to the entire nation. And my respect and admiration to the nations of the world, who once again, demonstrate that in times of need, we are indeed our brothers keeper. University Acceptance Letters are the talk this time of year. I look forward to the exciting news as to which university The Neighborhood’s first mentee will choose, and to remind him that he is no longer a mentee, but now a grasshopper and we are here if he needs us, but I am sure he is ready to fly. But for now, eyes are on Nepal and the safety check, hoping the two words Mark Safe become one Safe soon. It is a small world after all. 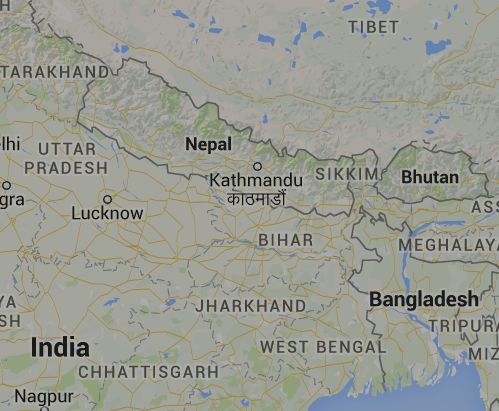 Much love to our neighbors in Nepal. Update: On April 28, 2015, Shrestha Bibash of Katmandu Nepal checked in safe. He states that his country is not well, but our prayers are appreciated very much. Reblogged this on http://www.Sufiaana.WordPress.Com. Have related your experience with my guilt of not helping terrorist victims. Loved the honesty in your expression. Thankyou. I heaved a sigh of relief when I read that Kendall’s friend is safe. There are scores of people there who aren’t. Some under the rubble, some on the hospital bed. And there are thousands of angels working hard to find them, treat them, cure them. Praying for the happiness and good fortune of these life savers too. there’s a Buddhist teaching, ”when great evil occurs, great good follows”. The world has united in helping Nepal! I hope everyone prays that the world order realises the value of life and does not fund any terrorist activity that destroys lives. Ego kills. It’s when the universe decides to take lives, when we realize that we don’t need to take the power of death in our hands. Let’s all become aware, conscientious, strong world citizens and help the victims of war torn areas as well. I recently sent 1000Dirhams to Nepal. But when the army school in Kashmir saw the brutal killings by terrorists, I was asked to not help. And i listened to my well wishers. I’m extremely ashamed and vow to help all my fellow world citizens.. Thank God your friend is safe, my condolences are with the the people of Nepal who suffered, I hope Nepal recovers from this horrific incident soon. Reblogged this on How do we feed the world's starving. H-y my friend. Thank you for checking in. As resident artist, I am sure you understand the concern. You are appreciated very much, both for your art and your being a part of The Neighborhood. You’ve written beautifully. My heart cries for Nepal people. The loss of life is huge and we are all with them in this time of sorrow. Vinny – You are appreciated for adding your voice to this forum, it is my hope that when our young friend checks in, he will feel the support. So glad you have found The Neighborhood. Hi Kendall, this is beautiful, thank you for writing from your heart. Touching music to a serious subject, Kendal. It is very moving. Leslie – Hello my friend. So nice to have you chime in. You are appreciated. Hope to update this post soon. Have a beautiful day. Being trying to make comments on your blog, don’t know what is happening. The earthquake in Nepal is disheartening, heard the hospitals in Kathmandu are all filled up and people being treated on the street..
My prayers and goodwill wishes goes out to them and the xenophobia victims in south africa..
May we all experience the peace with have always wished for.. Your comments are getting through fine. Sometimes I am quicker to the approval button then others. But I appreciate your persistence and adding your voice. As always, my young friend. Beautifully written. True and sad. I hope your young friend is okay. Your kind words are appreciated and we know that when he marks safe, he will appreciate them too. Thank you for being in The Neighborhood.